Trust director Raj Kumar Gupta to perfectly translate real-life incidents on the celluloid and he will never disappoint you. With ‘India’s Most Wanted’, the filmmaker is all set to bring yet another film which is inspired by true events. Starring Arjun Kapoor in the lead role, the film also stars Amrita Puri and Rajesh Sharma. After releasing the poster, the makers of the film have dropped its first teaser today. 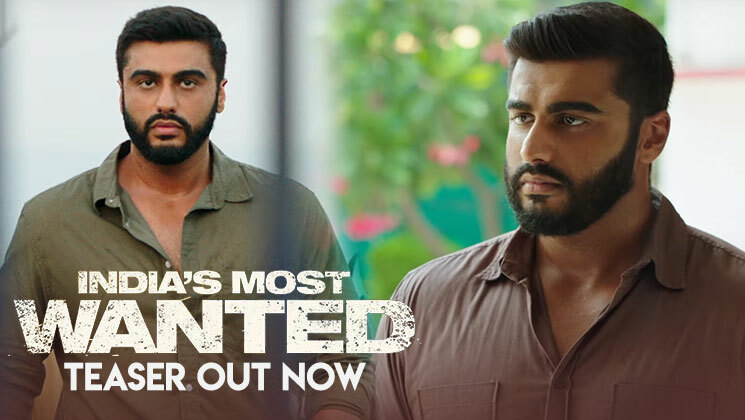 Action-thriller ‘India’s Most Wanted’ tells a story of five men who save the lives of a billion people by hunting down India’s Osama. These five men are on a secret mission to arrest a terrorist without firing even a single bullet. This story of no guns and only guts looks intriguing. Did you guys like the teaser? Do let us know your views. Written and directed by Raj Kumar Gupta, the film is produced by him in collaboration with Fox Star Studios and Myra Karn. ‘India’s Most Wanted’ is all set to hit the marquee on May 24.